Uber Lite is making its way to India, and will expand to other emerging markets later this year. India is one of Uber’s largest markets, and the ride-sharing service is doubling down in the country with a new lightweight version of its app. Dubbed Uber Lite, the app comes in at just 5MB, and is designed primarily to run on low-end hardware and 2G networks. The app strips out the vehicle animations, and you don’t even get the map view by default. 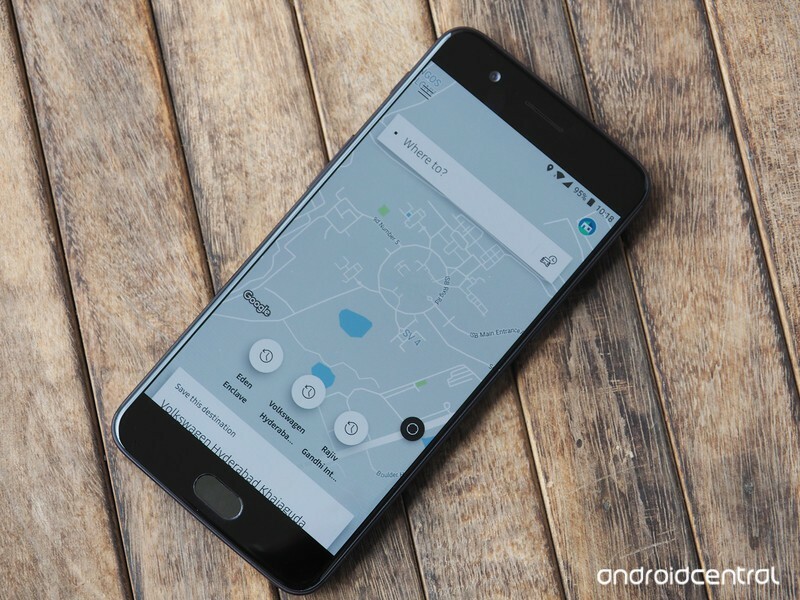 An overwhelming majority of phones sold in India are budget devices that retail for under $200, so it makes sense for Uber to launch a lightweight app that provides a better user experience. Uber is touting a 300-millisecond response time for the app, and the company says Uber Lite will work on all Android phones. The app automatically pulls in your location via GPS, and there’s a textbox where you can enter your destination details. You get to see how close an Uber is to your location, view fare estimates, and choose from UberGo, Pool, Premier, Moto, and UberXL. You’ll also be able to call the driver and share your ride status once you get going. The app caches the top locations in your city, making it easy to pick a destination even when you’re in an area with little to no connectivity. Like the regular Uber app, Uber Lite will be able to surface smarter recommendations over time as it learns your usage habits. And while maps aren’t available when you launch the app, there’s an option to toggle them should you need to see the route. Uber says it’s also working on local language support, a progress bar that will let you follow your cab’s progress, and the ability to book a ride even when you’re offline. 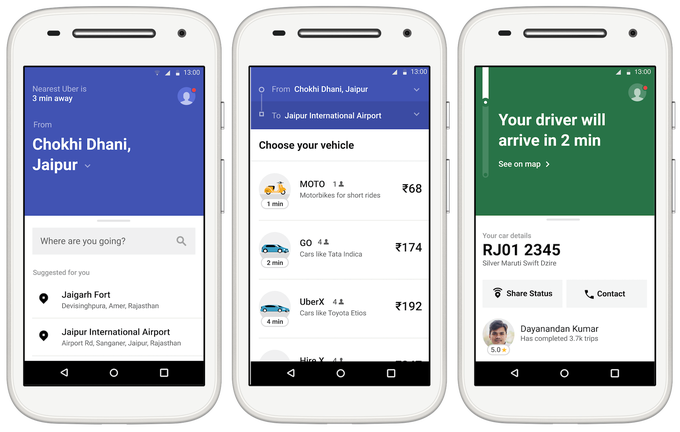 Uber Lite is clearly aimed at taking on Ola, India’s home-grown ride-hailing service, which launched a lightweight version of its app earlier this year. Ola Lite comes in at just 580KB, and offers most of the features of the full-fledged app. Uber Lite isn’t available on the Play Store just yet, but you can fill up the form below to be the first to try out the app in early access.